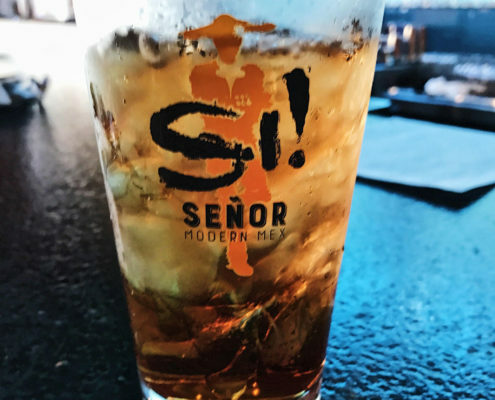 Si! 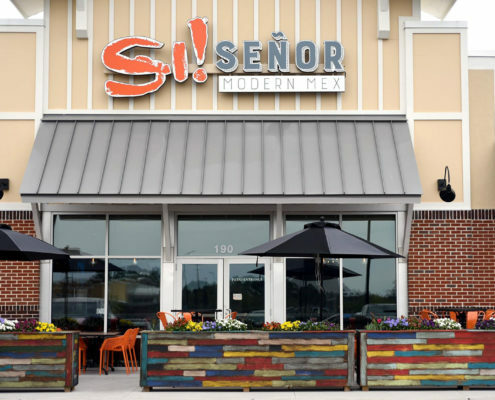 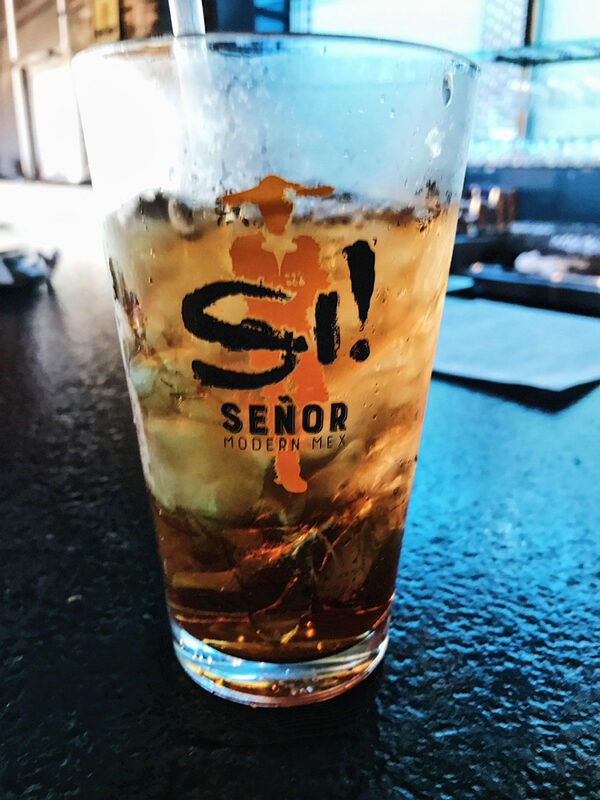 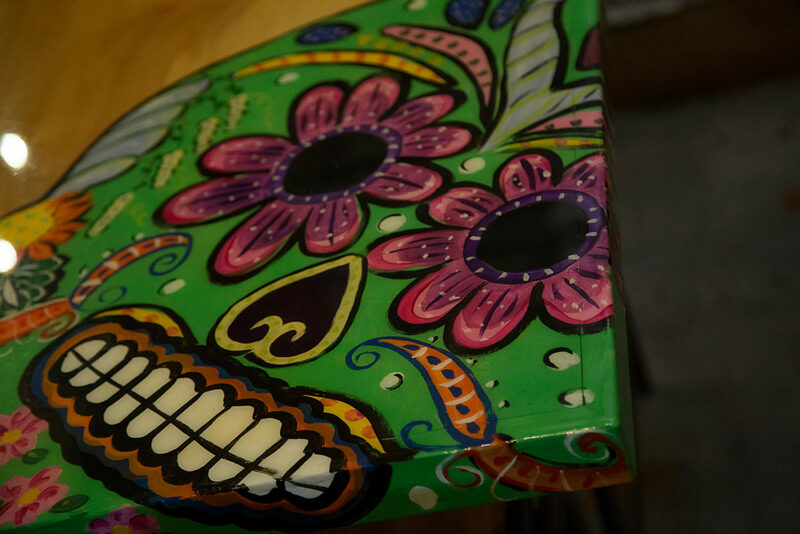 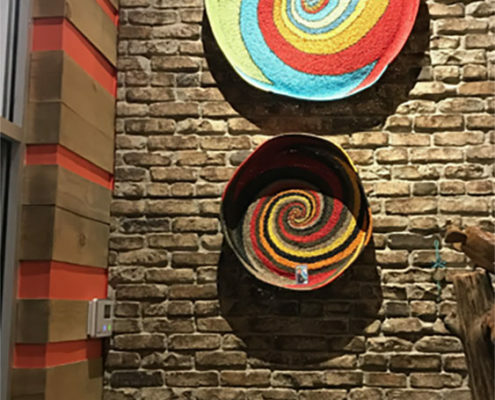 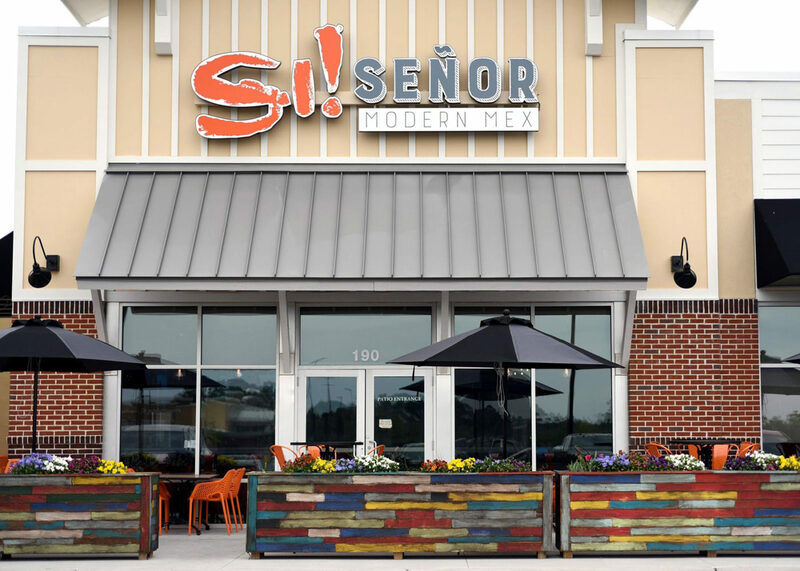 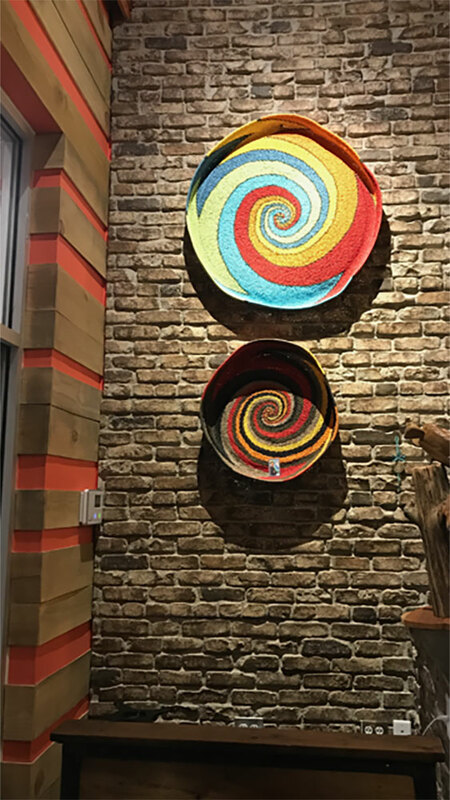 Senor brought a unique spin to Mexican cuisine in the Wilmington, NC area. 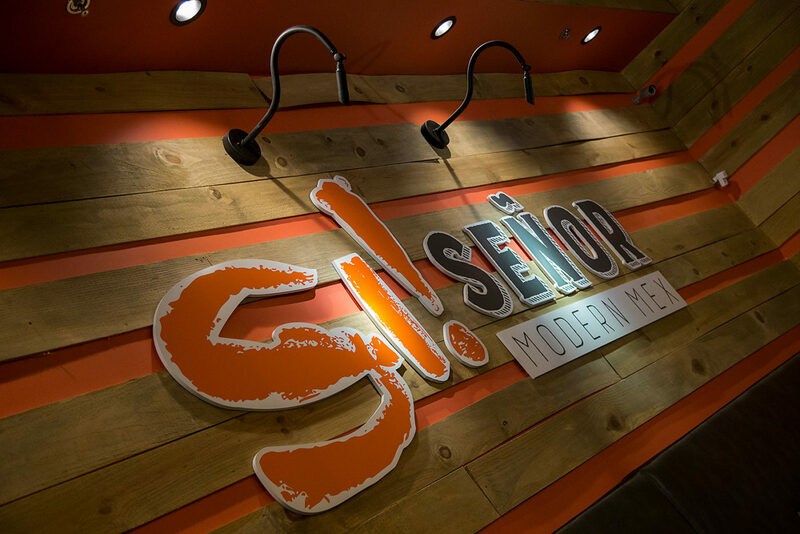 The goal was to establish an unmistakable branding identity. 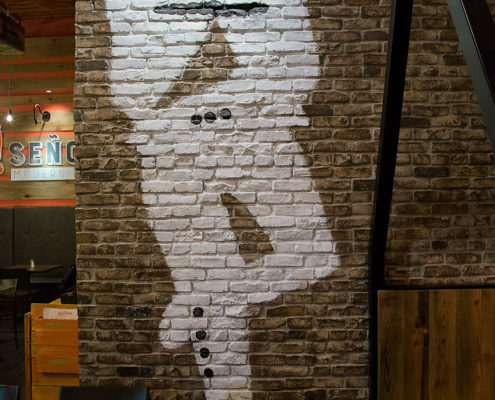 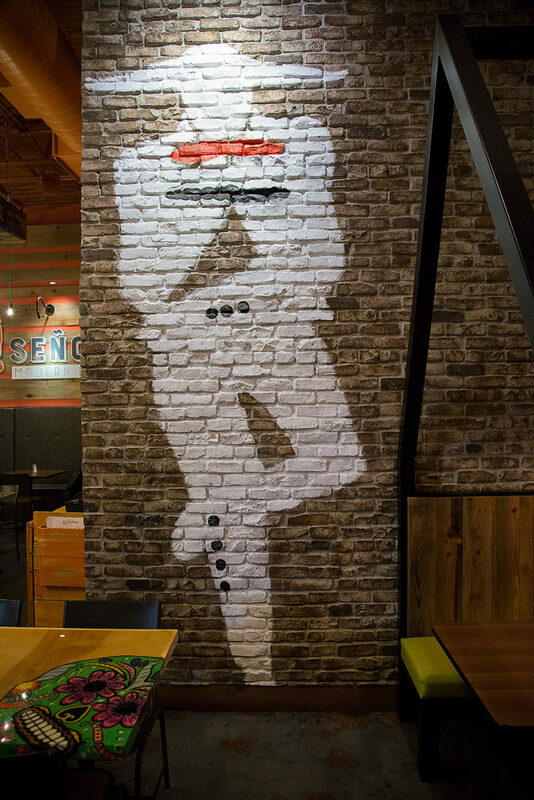 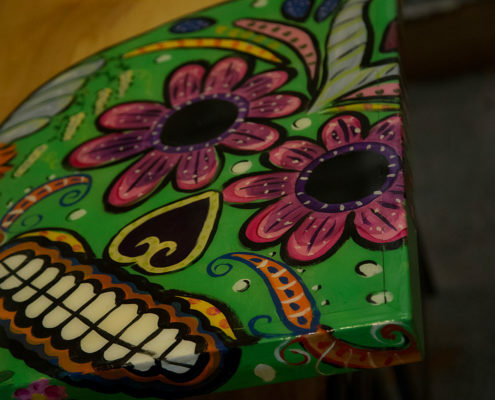 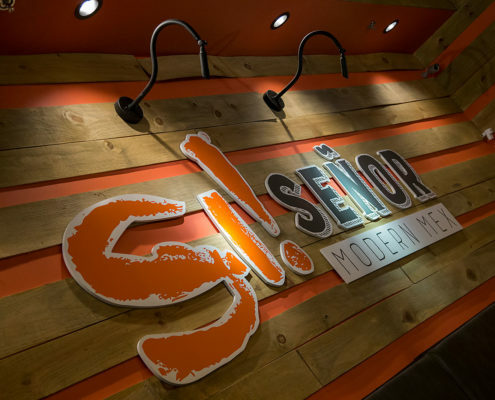 The concept began by creating the Mexican man silhouette and incorporating it into the logo as well as the restaurant space. 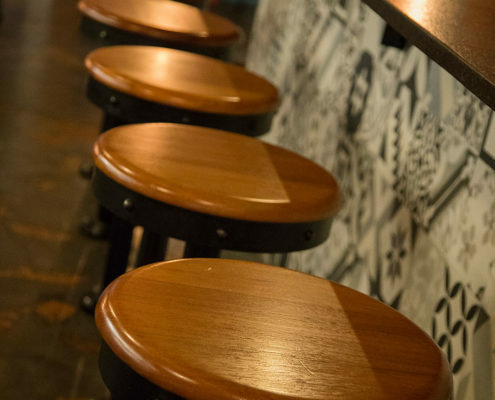 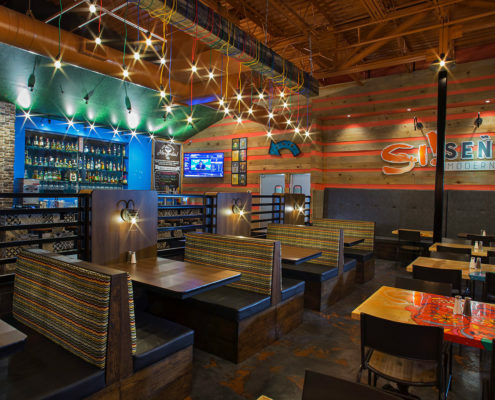 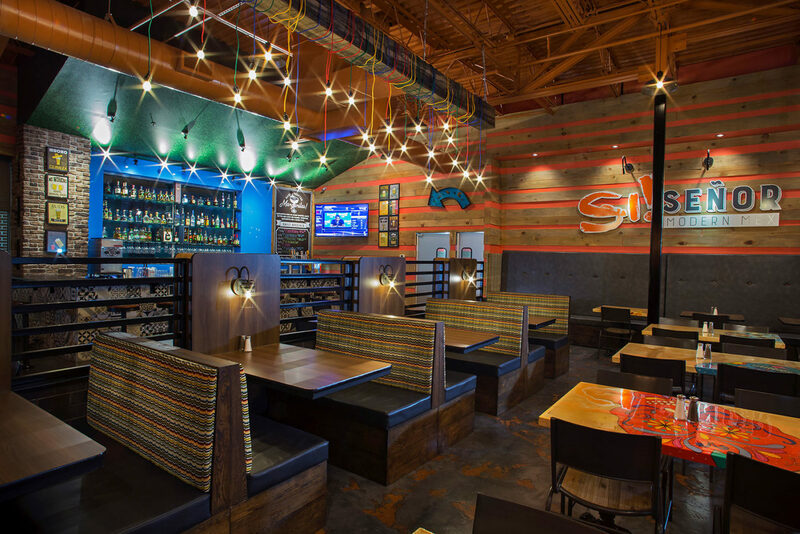 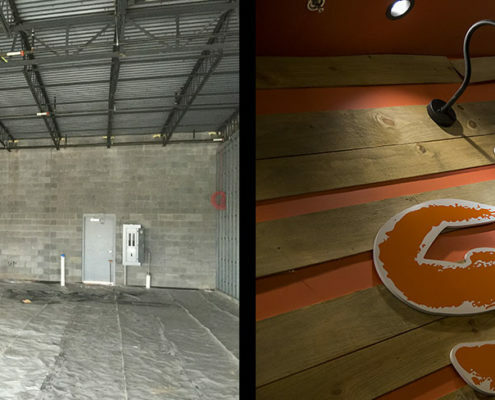 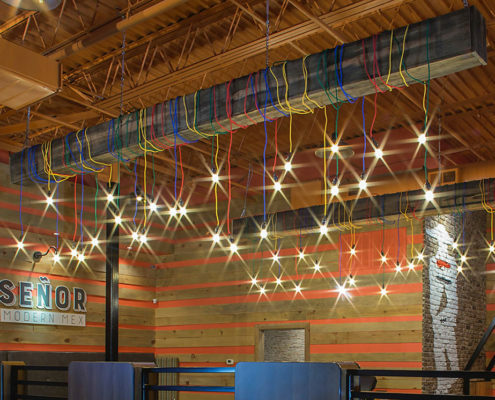 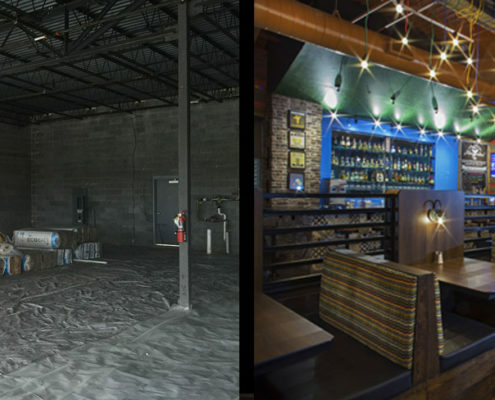 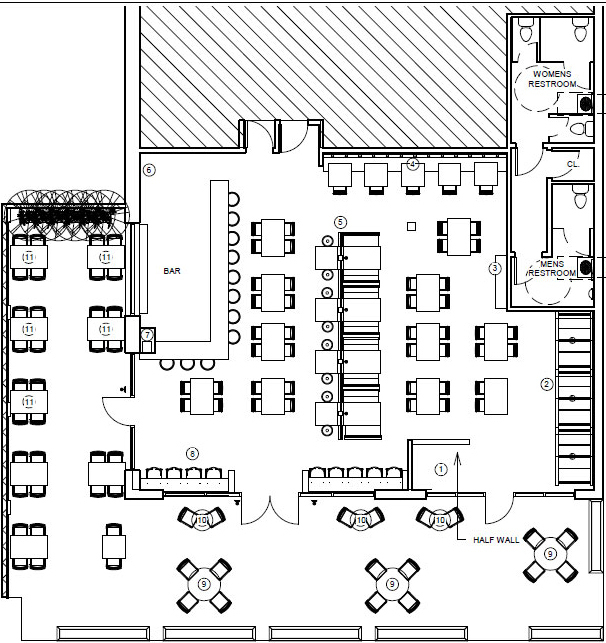 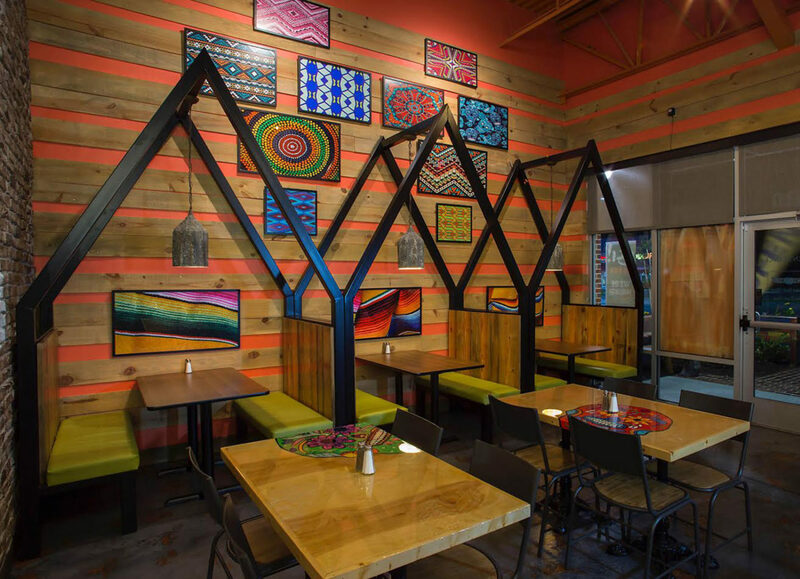 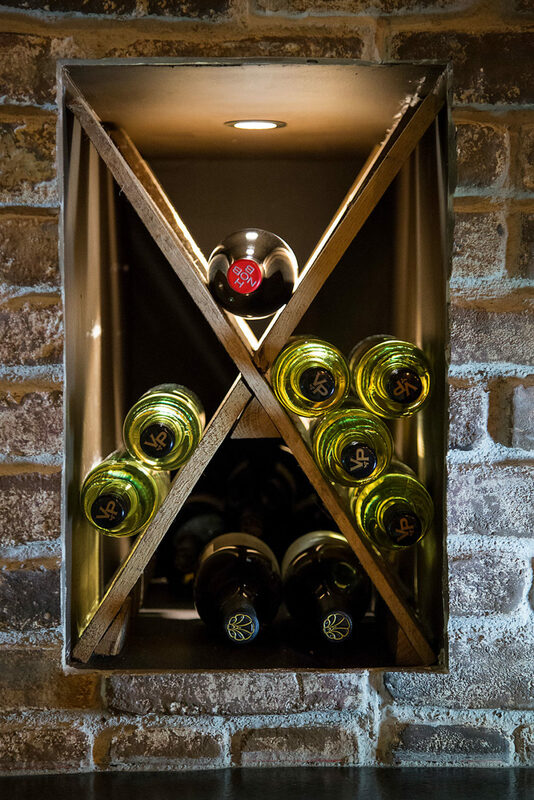 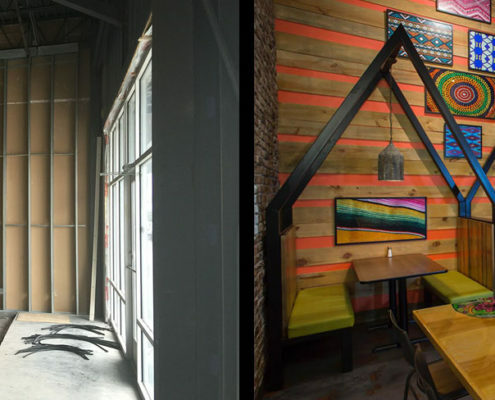 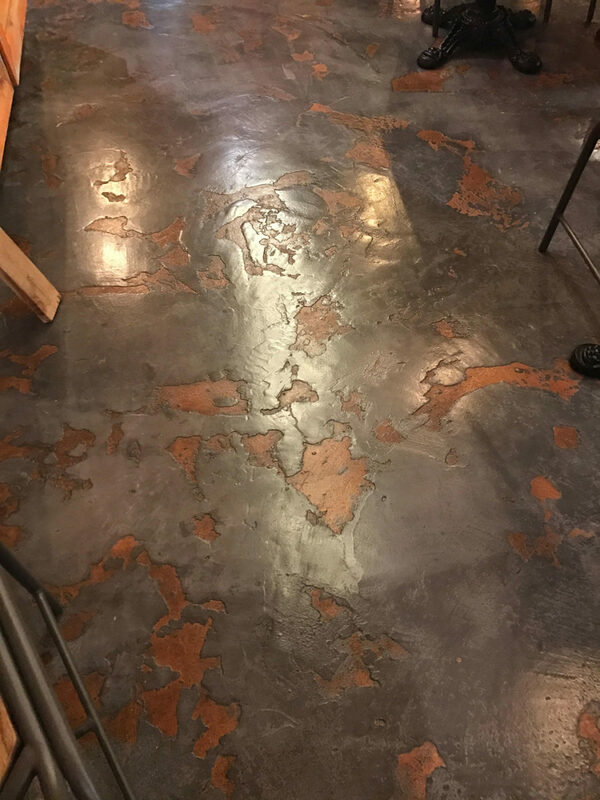 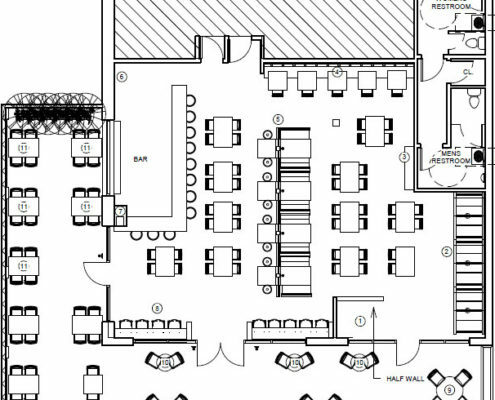 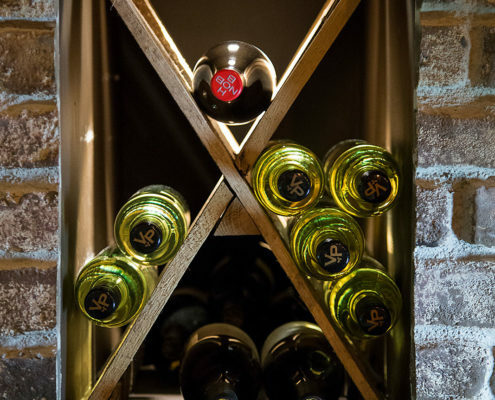 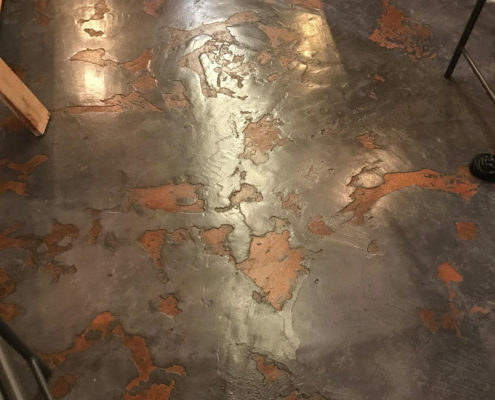 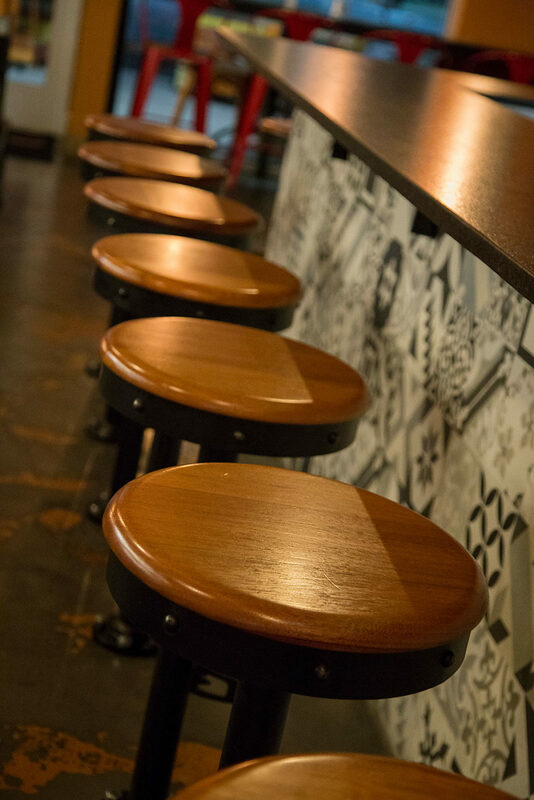 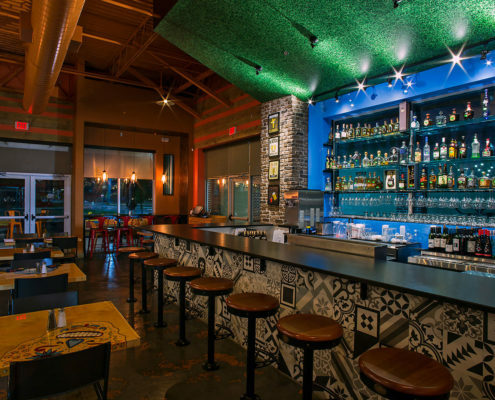 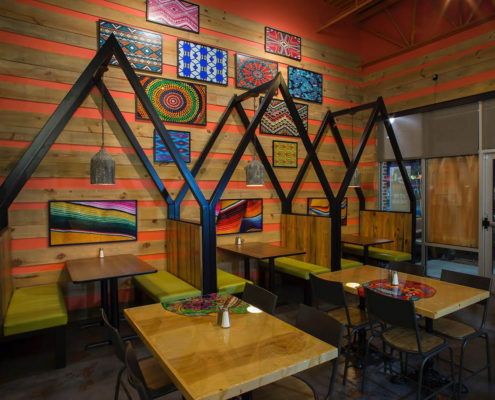 True to the brand, the overall design encompasses a blend of none predictable applications of texture and color accompanied by a unique and whimsical blend of wall décor, fun table tops graphics, colorful light fixtures, and custom A-frame steel booths. 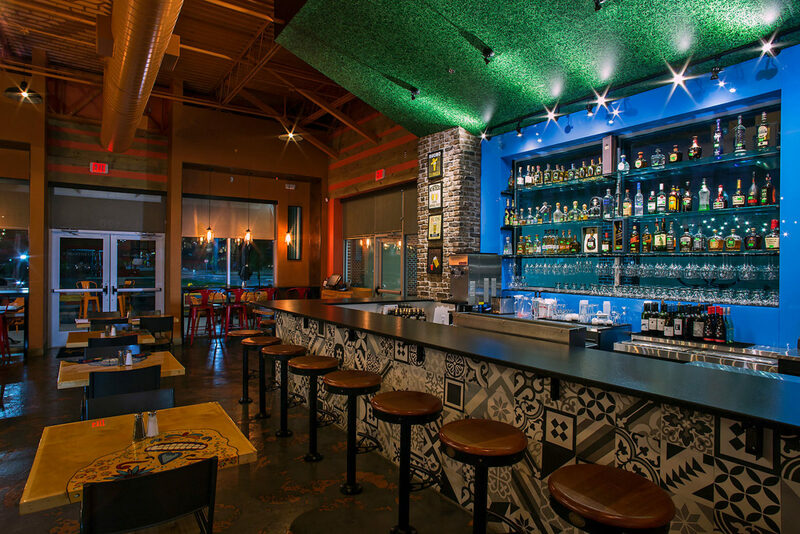 A dramatic bar reveals a contrasting theme of cool colors, black and white cement tile, vintage barstools, and a playful overhead canopy covered in a grass graphic.